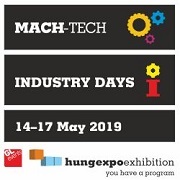 As of January 1, 2019, HUNGEXPO Budapest Fair Center has become completely cash-free. The use of the HelloPay “Cashless system”, which had already been in use in selected areas, will be extended across the entire territory. The system can therefore be used by visitors to pay with a touch-to-pay bank card or HelloPay card in lieu of cash for event entry tickets and parking, as well as to shop at dining areas at the location. Important: if for the given event a ticket was not purchased using the online registration system, then at the cashiers on location payment can only be made with a touch-to-pay bank card or the HelloPay card. If you do not have a credit card or did not bring it to the event, the following information is provided about using a HelloPay card. WHERE CAN I GET A HELLOPAY CARD? The card can be obtained upon payment of the deposit at the cashiers found at the HUNGEXPO Entrance Halls I or III. HOW MUCH IS THE HELLOPAY DEPOSIT? The HelloPay card can be obtained for a deposit of 500 HUF. The amount of the deposit will be deducted from the first charge. If at the end of the event the card is redeemed without any damage, the 500 HUF deposit will be refunded in cash. HOW MUCH MONEY SHOULD I PUT ON MY HELLOPAY CARD? When topping up your HelloPay card, you should pay strict attention to whether or not you are parked on a HUNGEXPO parking lot. If so, you should make sure to put 2,500 HUF on your card beforehand, which will be deducted upon departure. In addition to the parking fee, you should also calculate food costs. When the amount on the card runs out, the card can be refilled at topping-up points placed around the shopping area: at Entrance Halls I and III, or at places indicated on the map. HOW CAN I BUY AN ENTRY TICKET FOR AN EXHIBITION AT THE LOCATION WITH THE HELLOPAY CARD? Entry tickets can be purchased at HUNGEXPO’s own organized exhibitions on the spot at the cashiers with touch-to-pay bank cards or with the HelloPay card. Obtain a HelloPay card at a cashier in Entrance Halls I or III. After obtaining and topping up a HelloPay card, it can be used immediately to buy a ticket. If you arrived by car and parked in the HUNGEXPO area’s parking area (areas P3 or P5) the 2,500 HUF parking fee should be added to the card, which will be automatically deducted during departure, and thereby avoid waiting in a separate line to speed up your exit. WHERE CAN I PAY WITH THE HELLOPAY CARD AT THE HUNGEXPO AREA? The HelloPay card can be used to pay at the following HUNGEXPO food areas: In the Expo Bistro, or in the buffets found in the Passage. PLEASE NOTE that if you arrive by car and park in the designated area (parking areas P3 or P5), you can only pay the parking fee with a HelloPay card (or a touch-to-pay bank card). HOW DO I PAY WITH THE HELLOPAY CARD? To pay, simply press the HelloPay card against the terminals’ card reader. The system first identifies the card being touched to the card-terminal. Before completing payment, the process provides the opportunity to add a tip of 0-20% to the amount. In this case, the total amount with the tip added will be deducted from the card. At the time of payment, please check that the terminal is displaying the correct amount. HOW CAN I PAY THE PARKING FEE WITH THE HELLOPAY CARD? At the inner, gated parking area (P3 or P5) the previous chip-based system has been replaced by a card-based system (your own bank card or HelloPay prepaid card), that is a cashless payment system. With this system, you can avoid standing in an extra line, exit faster, and immediately receive a cash-payment receipt at the boom barrier. If you have parked in the HUNGEXPO area, either the P3 or P5 parking area, simply touch a readable bank card or HelloPay card to that area’s card reader and the amount will be deducted. PLEASE NOTE that upon exiting with your car the 2,500 HUF parking fee must be available to deduct from your card. If you would like to redeem your HelloPay card upon exiting, a HUNGEXPO assistant in the parking lot will return your 500 HUF deposit to you. If you would like to recover the money remaining on the card following the parking payment, you can park your vehicle in the designated parking area outside of HUNGEXPO and return to a cashier in Entrance Hall I or III. The remaining amount and the deposit can be redeemed at the cashier. WHERE CAN I TOP UP MY CARD? While the event is in progress, the HelloPay card can be topped up immediately when initiated at the cashier, or in the top-up stations found in the shopping area, which are also indicated on the map. Should you decide to the leave the event, you can also redeem your card’s value at the top-up stations. WHEN I PURCHASE SOMETHING FROM A VENDOR DO I ALSO HAVE TO PAY WITH A HELLOPAY CARD? In case you would like to buy something from an exhibition vendor, the selling company (exhibitor) decides on payment method. You do not need to pay with the HelloPay card. HOW CAN I FIND OUT HOW MUCH MONEY IS LEFT ON MY CARD? You can ask about the amount remaining on your card at the time of purchase, from a vendor, and at the HelloPay topping-up points. WHERE AND HOW CAN I REDEEM MY HELLOPAY CARD? If you don’t want to use your HelloPay card anymore, you can redeem it at the designated topping-up points inside the HUNGEXPO area, or at a cashier in Entrance Halls I and III. When redeeming the card - as long as the card has not been damaged - you will receive back the 500 HUF deposit in cash. WHERE AND HOW CAN I RECOVER THE UNUSED AMOUNT? Before the end of the event the amount remaining on your card can be recovered when the card is redeemed at the location, at the top-up stations, or in Entrance Halls I or III. IF I DON'T WANT TO REDEEM THE CARD FOLLOWING THE EVENT, WHERE AND HOW CAN I USE THE REMAINING AMOUNT? You can spend the amount remaining on your card at any location that accepts HelloPay. Visit the www.hellopay.hu website and pull down the HELLOPAY PARTNERS menu for an updated list of locations. WHAT SHOULD I DO IF I'VE LOST MY CARD OR IT HAS BEEN DAMAGED? If you have lost your card, or it has been damaged so that it can no longer be used, you can obtain a new card for 500 HUF. Credit may be transferred from an old card to a new one only if the original card has been registered. Registering the card is not necessary to make use of all its functions! The value in registering the card exists in the fact that you can cancel a lost card and have the remaining credit transferred to a new one. The card can be registered beforehand, at the official website of HelloPay www.hellopay.hu under the “REGISTRATION” menu.